I’ve never really been one for red on Valentine’s day or any other day for that matter, I’m much more of a pink girl. Neon to blush or the myriad of shades in between, I don’t care as long as it’s pink. 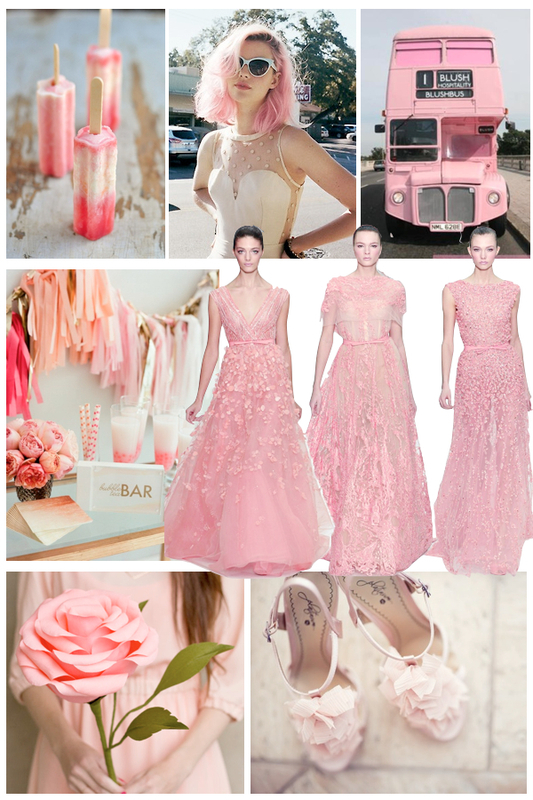 Of course I started a Pinterest board to gather ideas and enviable images and thought my Bijou girls might like to share in some pink wedding inspiration. – I know it’s unbearable to think of frozen anything given the current weather situation but yoghurt yumminess is a great idea for summer weddings. – It’s taken an age to get my hair back to some sort of even colour after being bleach blonde but I’m so tempted by candyfloss pink curls. – For real a pink bus to transport your guests, wow. Would also make for a super fun hen party. – I’m planning a BAFTAs night in with the girls and think I might copy this bar set up. Pink wedding inspiration doesn’t get much better than ombre peonies, tassel garlands and napkins.